Many a times we find ourselves at a loss when we try to install Windows 7 from a flash drive and find that there is optical drive or DVD drive for us to run the installation disk. These are times when a bootable flash drive comes in extremely handy. For example, if you have a netbook and you want to upgrade the operating system to Windows 7, you need to do so without the unmanageable hassles of an external DVD drive. 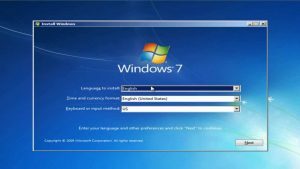 However, unlike what many people think, there are several easy and fast ways in which you can install Windows 7 from a flash drive. Among these several methods, there are also methods that require you to insert complicated sets of commands in the command prompt executable file. In fact, this process also requires a certain amount of technical knowledge, which many people do not have. That is why this article will focus on one of the easier and quicker ways of installing Windows 7 from a USB flash drive that does not require the user to have much technical knowledge. If you want to install Windows 7 from a flash drive in this method, you will find that it is basically quite similar to installing the Windows from a DVD itself. The main thing that you will have to do is create a bootable USB flash device out of your USB device. This will make sure that the USB device you have becomes a bootable device, having the operating system in it. There are several software that will help you increating a bootable USB flash drive and allow you to copy the installation files of Windows 7 into it. These are as follows. In creating a bootable flash drive using the Windows 7 USB DVD Download Tool, you will need to create an ISO image file of Windows 7. You can get the Windows 7 USB DVD Download Tool from the Microsoft Store. In creating a bootable flash drive using the Windows 7 USB DVD Download Tool, you will have to format the USB device that you have. It must have at least 4 GB free space. You will come across a dialog box that will have four steps in total, guiding you through the process of creating the bootable USB device. Now you can use this bootable device for installingWindows 7 from a flash drive in any system you want. You can install Windows 7 from a flash drive by another process as well. This is by using utility software named WinToFlash. This utility provides you with a very simple and straightforward wizard that will guide you effortlessly through the process of creating a bootable USB drive. Both these two utility software offer you very easy and time efficient methods by which you can install Windows 7 from a flash drive to any system.